A 3-inch black-and-white monitor is mounted inside an 18-inch horizontal stainless steel tube which faces a wall in a completely darkened room. (The object itself is lit with an extremely low wattage spotlight). The tube is mounted on a tripod-like base and is motorized to slowly pan approximately 180 degrees back and forth along the wall. A small, focused video image, approximately 10 inches in diameter, can be seen on the wall when the tube, like a flashlight or searchlight, faces it at 90 degrees. Moving in either direction from the center point, the image goes slowly out of focus, becoming larger, more diffuse and almost nonexistent. The image consists of the horizon line of an ocean that is scanned back and forth, but the movement of the projected image cancels out the scanning motion of the camera, giving the illusion that the projection is merely light revealing a ‘reality’ that is already there. The sound of the ocean is heard on three external loudspeakers, positioned in the middle and at both ends of the wall the "searchlight" is pointed at; they are mounted flush inside the wall and covered with white scrim, so as not to be seen. The timbre and presence of the sound is continuously changing with the panning motion of the tube: at the 90-degree point, when the tube faces the wall, the sound, coming from the middle speaker, is exaggeratedly clear and localized; at 0 degrees and 180 degrees, the sound loses its clarity and recedes ever more deeply into the distance, correlating to the changing focus and diffusion of light of the projected image. 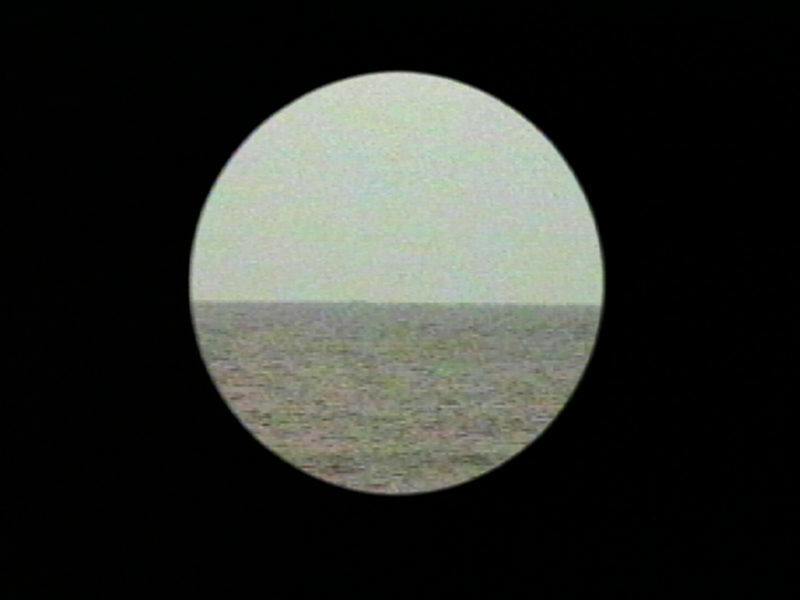 Searchlight was begun in 1986 and is the precursor to Beacon (Two Versions of the Imaginary), 1990. An example of this work was first exhibited at the Museum für Gegenwartskunst, Öffentliche Kunstsammlung Basel, Basel, Switzerland, as part of the exhibition “Imagining the Brain Closer than the Eyes,” October 29, 1994 – January 29, 1995. “Gary Hill,” (travelling exhibition organized by the Henry Art Gallery, University of Washington, Seattle, Washington), Museum of Contemporary Art, Los Angeles, California, December 19, 1994 – March 12, 1995; Kemper Museum of Contemporary Art and Design, Kansas City, Missouri, October 14, 1995 – January 14, 1996. ’97 Kwanju Biennale: “Unmapping the Earth,” Kwangju, Korea, September 1 – November 27, 1997. “Tuning up #5,” Kunstmuseum Wolfsburg, Wolfsburg, Germany, March 7 – August 9, 1998. Aarhus Kunstmuseum, Aarhus, Denmark, January 17 – April 5, 1999. “Searchlight,” California College of Arts and Crafts, San Francisco, California, September 11 – December 11, 1999. “Black Box – The Dark Room in Art,” Museum of Fine Arts, Bern, Switzerland, June 15 – October 14, 2001. 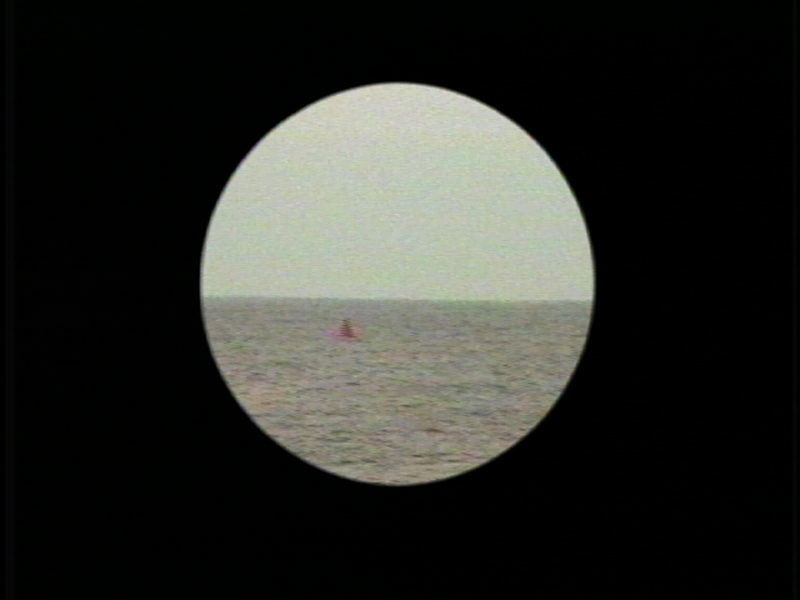 “Gary Hill: Selected Works,” Centro Cultural de Belém, Lisbon, Portugal, October 10, 2002 – January 12, 2003 (organized by the Kunstmuseum Wolfsburg). Note: This work was not included in the opening exhibition at Wolfsburg. “Glossodelic Attractors,” The Henry Art Gallery, Seattle, WA, March 30 – September 16, 2012. Vidéoformes '89: Festival de la Création Vidéo. Program notes. Clermont-Ferrand, France: Festival de la Création Vidéo, 1989, p. 10. “Art: Alternative Programming.” The New Yorker (June 12, 1995). 97 Kwangju Biennale: Unmapping the Earth. Kwangju, Korea: Kwangju Biennale Press, 1997, pp. 64, 90, 91, 476. Lavelli, Cecilia Liveriero and Franklin Sirmans. “Harald Szeemann. Curator as Author: From Ljubljana to Lyon to Kwangju.” Flash Art (Summer 1997), p. 90. Tuning up #5. Wolfsburg: Kunstmuseum Wolfsburg, 1998, unpaginated. “Beunruhigende blick.” Art – das Kunstmagazin (January 1999), p. 67. Kold, Anders, ed. Gary Hill. Aarhus: Aarhus Kunstmuseum, 1999, pp. 31 – 47, 114. Kunstmuseum Wolfsburg Gesammelte Werke 1 Zeitgenössische Kunst seit 1968. Wolfsburg: Kunstmuseum Wolfsburg, 1999, pp. 218 – 225. Rinder, Lawrence, ed. Searchlight: Consciousness of the Millennium. San Francisco: California College of Arts and Crafts, 1999, pp. 2, 42, 43, 191. Miller, Alicia. “ ‘Searchlight: Consciousness at the Millenium’ at CCAC.” Artweek (December 1999), p. 19. Berk, Amy. “Searching for a Tunafish Sandwich at the End of the Millennium.” http://art.nextmonet.com/newsevents/n19991104/news2.html. Gary Hill en Argentina: textos, ensayos, dialogos. Buenos Aires: Centro Cultural Recoleta, 2000, p. 44. Gary Hill: Instalaciones. Córdoba: Ediciones Museo Caraffa, 2000, p. 23. Beil, Ralf, ed. Black Box. Der Schwarzraum im der Kunst. Bern: Kunstmuseum Bern / Hatje Cantz Verlag, 2001, pp. 124 – 127. Gary Hill: Selected Works and catalogue raisonné. (Wolfsburg: Kunstmuseum Wolfsburg, 2002), GHCR 82, pp. 178, 179. Quasha, George and Charles Stein. An Art of Limina: Gary Hill’s Works and Writings. Barcelona: Ediciones Polígrafa, 2009, pp. 37, 75, 316, 318 – 321, 323 – 325, 590, 613, 633, 644. Upchurch, Michael. “A stroll with sound/video artist Gary Hill through his new show,” The Seattle Times (May 6, 2012).